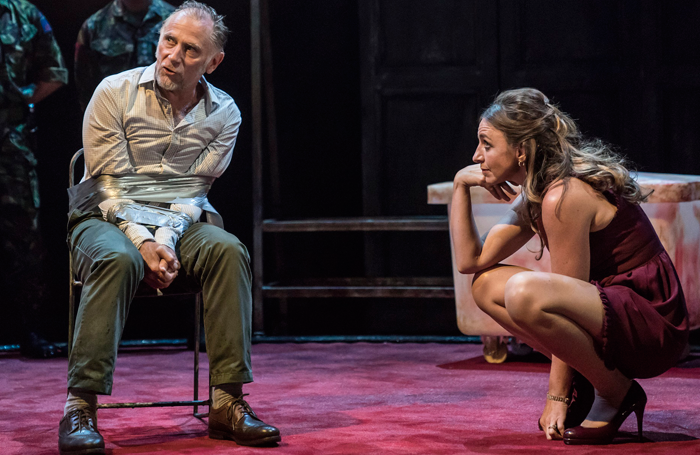 King Lear is one of the great Shakespearean tragedies and a character that has been tackled by some of the greatest British actors over the years. Sir Ian Mckellen having earlier in his career played Edgar and Kent, and then Lear in 2007, at the age of 79 returns to the play and says "as you get closer to King's age the more telling it becomes, more a therapy than a job." He gives a wonderfully rich performance drawing out the King's tragic descent from powerful ruler in full regalia, looking like Charles III in the opening Act, to the slightly demented exile within his own kingdom, dressed to look like Keith Richard in the second half. 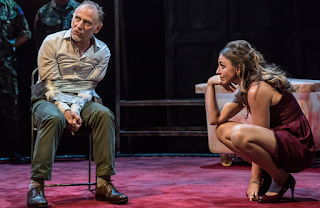 He has a strong stage presence, even as he searches and stumbles for words and is particularly moving in the touching scenes when he awakes in a hospital bed and slowly recognises his daughter Cordelia. Director Jonathan Munby and designer Paul Wills have created a brilliantly conceived modern setting for the play which creates an intimate acting space (retaining the feel from the Chichester Minerva studio where it started) by building a walkway which divides the Stalls. The large panelled semi circular rear wall provides a flexible backing to the stage in the first half with the circular red carpet to create the various internal settings with carefully and appropriately selected props providing the detail. In the second half the carpet is stripped away and the panels folded back to create a bare white space with echoes of the white cliffs of Dover. 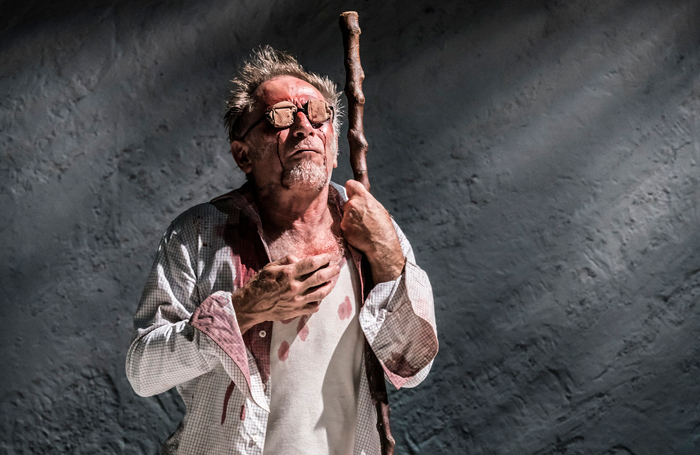 Again the contrast between the luscious court setting of the opening scene with an enormous portrait of Lear dominating the stage , with the ugly abattoir which closes the act and then the bare landscape of the second act is dramatic and effective. The twentieth century costumes makes this tale of an ageing father aware of the onset of his dementia and his feuding children feel more relevant and interesting for today's audiences and the recasting of the loyal Kent as a female, a delightfully serene and effective performance from Sinead Cusack is consistent with this modern feel. The lighting design by Olivier Fenwick adds to the tensions with some dramatic sharp blackouts and the sound composition by Ben and Max Ringham adds heavy beating drums as the drama and body count mounts . Together it creates a believable entrancing environment for the action. scheming Edmund (simply dressed in black) and Lloyd Hutchinson as Fool (in Eric Morecambe glasses and with a Ukulele). The bloody scene where Danny Webb's Gloucester's eyes are gouged out is chilling. 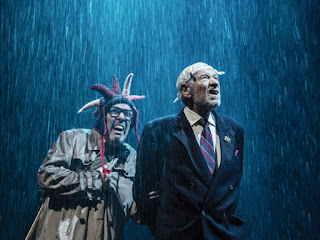 The modern setting, excellent cast and the outstanding Ian Mckellen make this a compelling production and it's message of "speak what we feel, not what we ought to say" is a strong message for today's politicians and leaders. This remarkable production will be broadcast live to cinemas on 27th September.